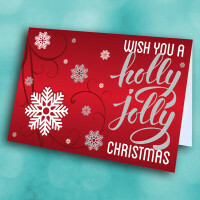 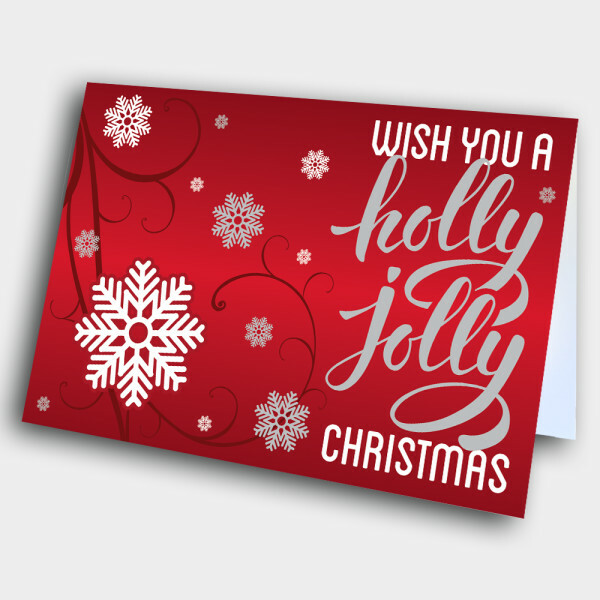 Send a classy, but festive, holiday greeting with this holly, jolly card. 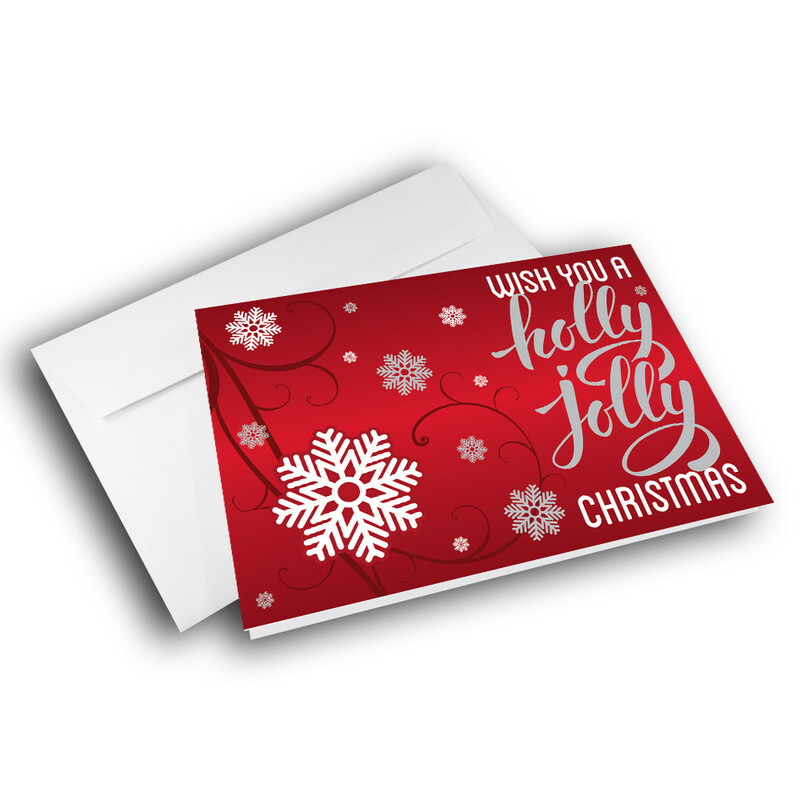 A perfect office holiday card, this snowflake-adorned greeting card is both elegant and exciting. 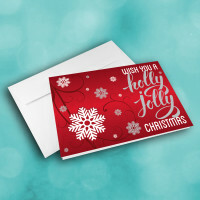 The deep-red background is adorned with swirls and intricate snowflakes. 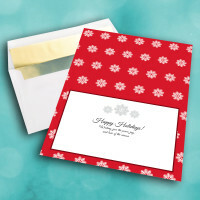 The inside features a bright-red background, neatly patterned with more detailed snowflakes. 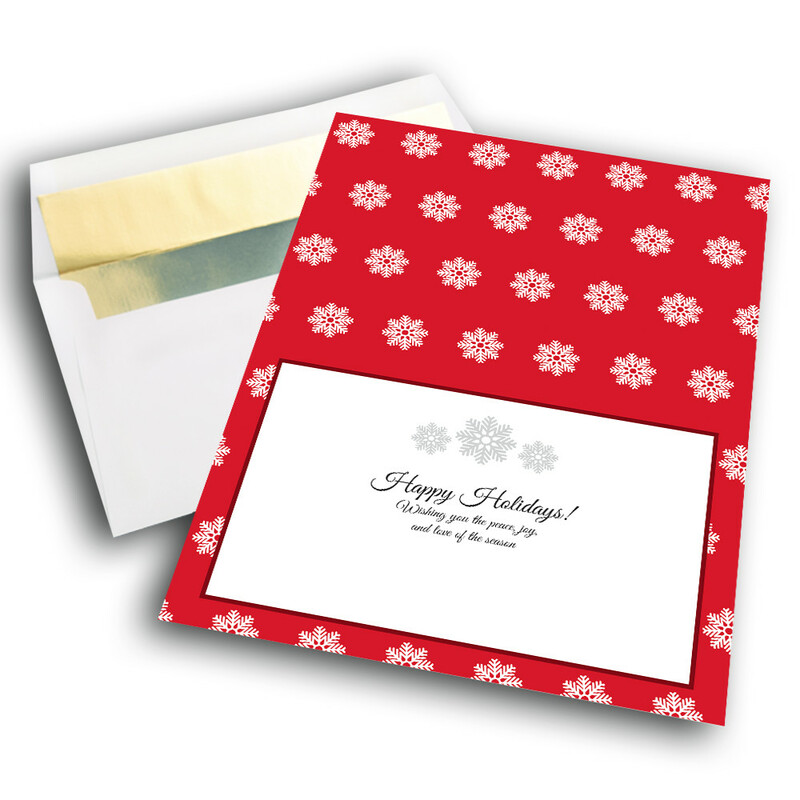 Personalize the message inside to give the card your own, unique touch.